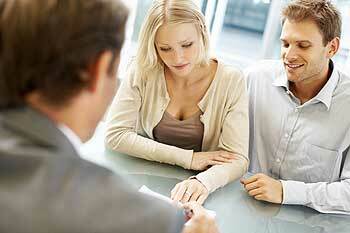 There are two sides to the sale of any structured settlement. First there is the person who has been granted the structured annuity. This party is receiving set sums of money, usually on an annual basis, and often as a result of some type of incident that causes them to face ongoing expenses; hence the settlement. However, some people find that a structured payment plan simply doesn't meet their needs and they go looking for a way to get cash now by turning over the rights to their long-term payments. The other side of this coin is the companies seeking to buy structured settlements. These businesses turn a profit by purchasing structured settlements for a percentage of their overall value (paid out in a lump sum) so that they may collect the entire amount over the course of the annuity payment plan. Because they must wait for the payoff, it is expected and accepted that they will pay less than face value since they are making an investment of sorts. Of course, there may also be a third party involved, a skilled and trusted intermediary that works to connects sellers with the right buyers and vice versa. Structured Settlement Cash falls into this third category and provides great value to both parties involved in such transactions. For those looking to sell a structured settlement, finding the right company to do business with can be a complex and intimidating process. You might not know which purchaser will offer you the best deal in exchange for your annuity payments, and in some case, unscrupulous businesses will try to confuse you with misleading number manipulation in an effort to convince you to agree to a deal that is not necessarily in your favor. Having a knowledgeable third party on hand can create a buffer for bad offers while delivering a host of advantageous deals from reputable companies, and this can definitely help to make the process easier. It means that you won't have to go through the trouble of vetting these companies to ensure that they're on the up-and-up and that they can offer you the best possible terms; you get a negotiator who does the heavy lifting for you. As for structured settlement companies looking to reach out to those seeking to sell, an intermediary can also be a major boon. There is a lot of white noise when it comes to businesses that buy structured settlements, and it's all too easy to get lost in the shuffle when there are louder voices in the advertising arena. Even if they aren't offering the best deals, they may nab the lion's share of structured settlement sales simply because they are willing to engage in gauche, attention-grabbing behavior. For companies trying to create a brand image that imparts a sense of reliability and trustworthiness, these tactics simply won't work. In this case, a third-party company like Structured Settlement Cash could provide an attractive solution. They will bring in clients and all you have to do is deliver an offer that sellers find compelling. For structured settlements companies looking to increase visibility and heighten their brand image, this is one great option that doesn't require you to compromise your business ethics or ideals. And everyone involved can benefit from an intermediary that is dedicated to helping both parties find the perfect fit and enjoy an overwhelmingly positive experience all around.